The high cost of cancer therapy frequently appears in the headlines of mainstream news outlets, such as The Wall Street Journal, Forbes, and CBS News. These reports juxtapose the new, and potentially lifesaving drugs with the financial toxicity experienced by patients and their family members due to the significant cost of new therapies. Hospitals are also feeling the effects of rising drug costs and are similarly characterized as struggling with soaring medication budgets and physicians outraged at the cost of chemotherapy. The class of drugs stirring these discussions about high cost and medicinal advancement is immunotherapy. This revolutionary therapy involves enlisting the immune system to enhance its effect against neoplastic cells. While the concept of immunotherapy is well established in the treatment of cancer, recent enhancements to this core principal have expanded our capabilities to create novel subcategories, such as cytotoxic T-lymphocyte-associated protein-4 (CTLA-4), program cell death-1 (PD-1) inhibitors and bi-specific T-cell engagers (BiTEs). The most recognized for their unique feature are the PD-1 inhibitors and the targeting of co-inhibitory signaling receptors, discovered to play a major role in the activation and regulation of tumor-combating T-cells. These signaling receptors serve as checkpoints and are a major component in eliciting an immune response. A handful of immunotherapy agents have recently been approved by the FDA, including nivolumab (Opdivo; Bristol-Myers Squibb), blinatumomab (Blincyto; Amgen), pembrolizumab (Keytruda; Merck), and ipilimumab (Yervoy: Bristol-Myers Squibb), for the treatment of various types of cancers. Beyond their remarkable survival rates, in comparison to traditional treatments and standard of care, these therapies are most recognized for their unsustainable price tags. Since their approval, healthcare systems across the country have struggled to determine the most effective strategy to incorporate these important agents into practice, while mitigating their cost. To address this nationwide concern, Vizient, Inc (the new brand identity for the organizations formerly known as, VHA Inc, UHC, and Novation), hosted a roundtable discussion, during its 4th annual Oncology Pharmacy Summit, on member strategies to manage immuno-oncology (I-O). The Oncology Pharmacy Summit is intended to provide a forum for member organizations, particularly those with large oncology patient populations, to discuss current critical issues and future opportunities within the cancer care environment. The second agent in this class, nivolumab, was originally approved on December 22, 2014, for advanced melanoma. In just one year, it has achieved 4 additional indications including use in previously-treated squamous and non-squamous NSCLC, as part of a combination regimen with ipilimumab for untreated or unresectable advanced melanoma, and renal cell carcinoma in patients who have received prior therapy.4-7 The work the FDA has accomplished in approving 8 indications between 2 agents for 3 different cancer types has been impressive, but has left insurance providers struggling to keep up with the labelled indications of these products, much less the off-label circumstances in which they are currently being considered. Panelists also noted the rapid release of preliminary clinical trial announcements of I-O agents. These therapies are currently being tested in several different conditions, such as ovarian cancer, Hodgkin’s lymphoma, and head and neck cancer, and are likely to yield results in the near future. Research is also being conducted on the sequence of combined modalities including surgery, radiation, traditional chemotherapy, and other new targeted drugs. The use of this innovative group of drugs will continue to surge as study results are confirmed and applications broaden. Therefore, the need to define effective strategies to evaluate and monitor use of these drugs will only continue to expand. 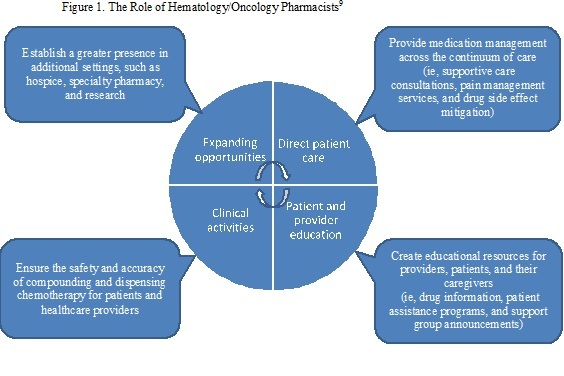 One particular program was universally endorsed by all panelists as an essential component of managing these therapies—the employment and placement of clinical pharmacists in ambulatory clinics and in-patient service lines to assist physicians with appropriate dosing and monitoring of cancer patients. Clinical pharmacists are the frontline defenders in effective medication utilization and are paramount in the therapeutic decision-making process. 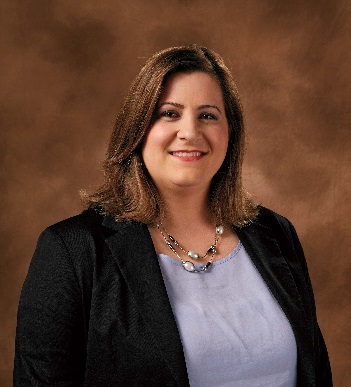 One study has shown that adding a clinical oncology pharmacist to a community oncology clinic resulted in a cost saving of $210,000 in patient charges by preventing drug waste, reducing chemotherapy dosages, and rounding to the nearest vial size, where appropriate.8 Clinical pharmacists function as gatekeepers, actively reviewing patients’ medical records to determine acceptable medication use in compliance with the health system pharmacy and therapeutics (P&T) formulary management, as well as employing dose-rounding strategies to ensure a reduction in drug waste (Figure 1). A strategy in place at many institutions—and imperative to a health system—in managing this class of drugs is inpatient and outpatient drug formulary management. Policies to evaluate each medication, and resulting reimbursement for inclusion on the formulary, can greatly impact the economic bearings to the healthcare system and assist in dictating patient-specific utilization. Inpatient and outpatient practices significantly differ in their reimbursement methods. Below are additional strategies for mitigating the cost of immunotherapy categorized by site of administration.